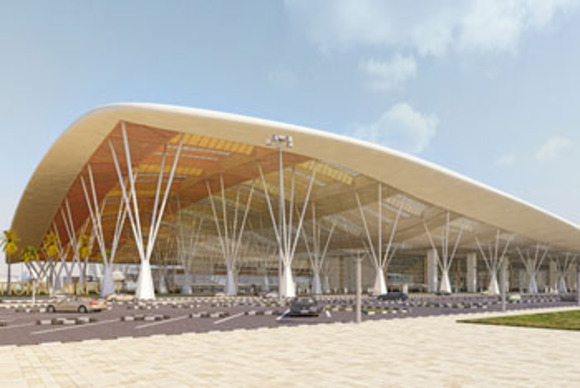 BANGALORE, India — HARMAN International India today announced the successful implementation of a new HARMAN IDX Information Delivery System, a truly integrated airport communications system at Bengaluru International Airport in Bangalore, India. The deployment is a part of comprehensive program by BIAL to deliver world-class facilities and services to its passengers and partners at T1A, which spreads across 1.5m square meters and has the capacity to handle 20 million passengers/year. The HARMAN IDX Information Delivery System is especially engineered for for meeting the communication challenges in today’s public spaces complex public spaces such as airports, rail stations and other In this case, the airport communications system comprises an IDX system core and operator interface, JBL Professional loudspeakers, Crown amplification, AKG noise sensing microphones and BSS audio processing. The system is a fully managed digital audio and notification system that dovetails with the airport IT LAN and provides operators with an effective interface for managing complex, rapidly-changing travel information including gate information, boarding details and life safety protocol in the unlikely event of emergencies. The deployment provides the airport with a highly flexible and scalable solution that can support the airport’s current requirements of Terminal 1 and future expansion plans. This is a landmark installation, as it is not only the first HARMAN IDX Information Delivery System installation at an international airport in India, but also the first IDX system deployment in Asia. “The truly integrated airport communication AV system from HARMAN Professional will provide a premium information delivery solution that minimizes traveler stress, and ensures a positive airport experience. We believe this project has set a new benchmark in the global AV industry,” said M. Lakshminarayan, Country Manager and Managing Director, HARMAN International India. HARMAN IDX is designed and built to exceed professional audio standards, incorporating premium microphones, amplifiers and loudspeakers for the best audio quality available. This IDX system can be found in various leading airport terminals across the United States and project sites across the world, including the recently installed projects at ORTIA International Airport in Johannesburg, South Africa, and Bogota International Airport in Colombia. IDX systems are also suited for Mass Transit facility applications Systems like SuperVia Trens Urbanos in Rio de Jeniero Brazil.